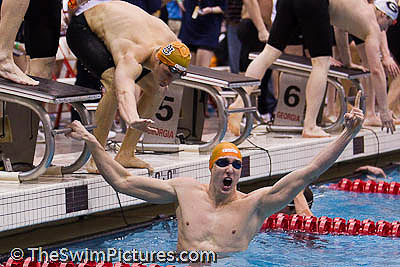 Auburn Senior Gideon Louw celebrates victory in the 200 medley relay at the SEC Swimming and Diving Championships at the University of Georgia. 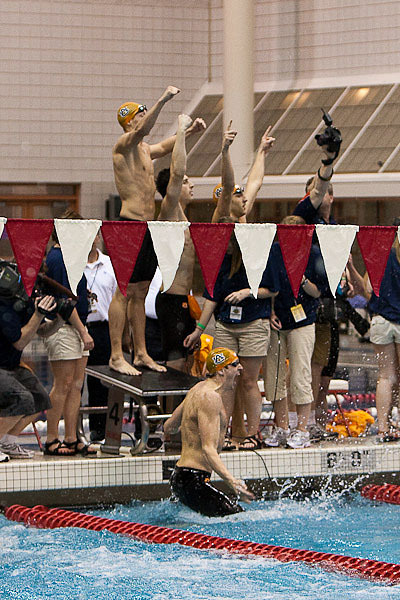 Louw was joined by Jared White, Michael Silva and Jordan Anderson in the winning relay. 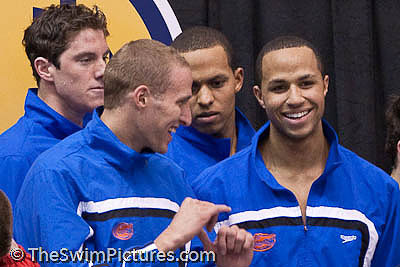 University of Florida swimmers Sebastien Rousseau, Shaune Fraser, Conor Dwyer and Brett Frasier celebrate their victory in the 800 freestyle relay in a SEC record 6:15.91. 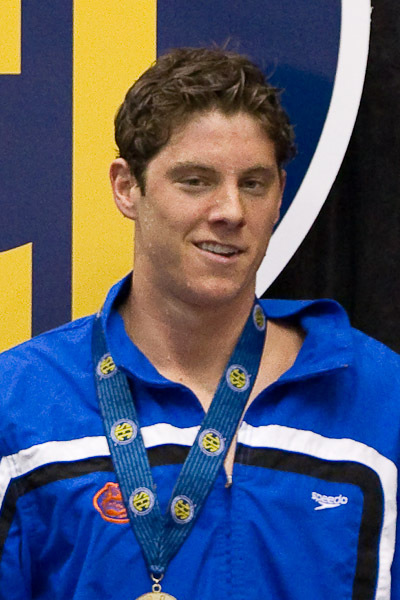 Conor Dwyer of the University of Florida wins the 500 freestyle in a 4:14.58 "A" cut at the SEC Championships. 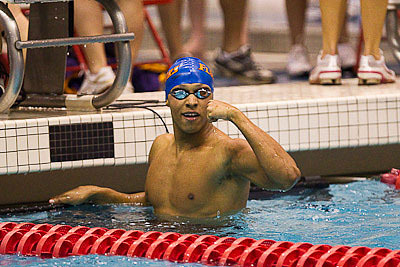 Shaune Fraser of the University of Florida comes from behind to win the 200 individual medley at the 2010 SEC Swimming and Diving Championships. 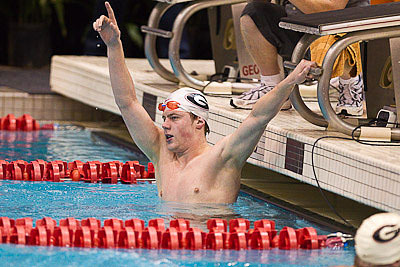 Auburn's Gideon Louw celebrates victory in the 50 freestyle going 19.18 at the 2010 SEC Championships. 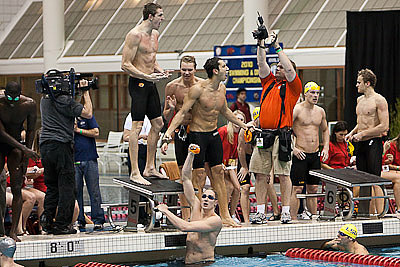 The Auburn team of Adam Brown, Karl Krug, Christopher Fox and Gideon Lowe celebrate victory in the 200 freestyle relay. 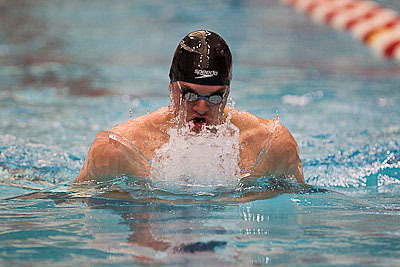 Bill Cregar of the University of Georgia captures the 400 individual medley in 3:42.63. 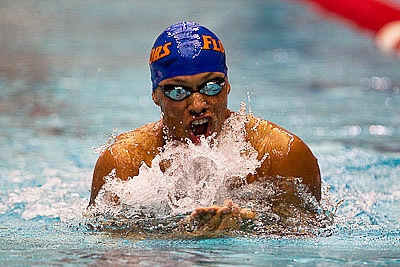 Florida Senior Shaune Fraser wins the 100 butterfly in 45.82. 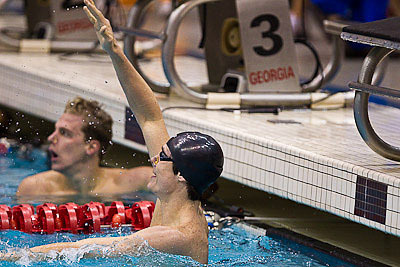 Auburn Junior George Klein wins the 100 breaststroke in an NCAA "A" qualifying standard time of 52.78. 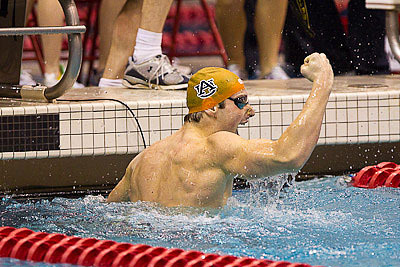 Auburn's Pascal Wollach celebrates victory in the 100 backstroke at the 2010 SEC Swimming and Diving Championships. 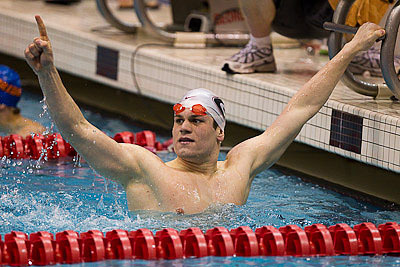 Martin Grodzki of the University of Georgia wins the 1650 freestyle in 14:47.48, securing an NCAA "A" qualifying time. 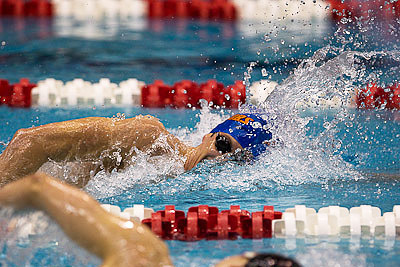 Marco Loughran of the University of Florida wins the200 backstroke in an NCAA "A" qualifying time of 1:40.72. 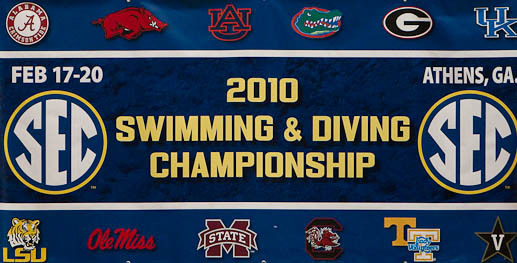 Gideon Lowe of the Auburn University scores his second individual win of the 2010 SEC Swimming and Diving Championships with a 42.36 victory in the 100 freestyle. 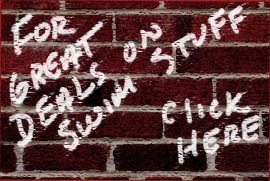 Earlier he won the 50 freestyle. 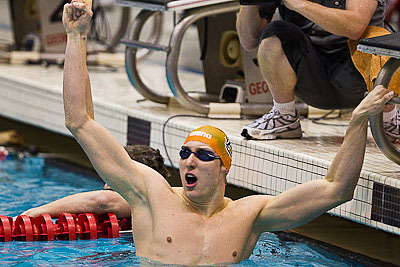 Brad Craig of the University of Tennessee wins the 200 breaststroke in 1:55.53 at the 2010 SEC Swimming and Diving Championships. 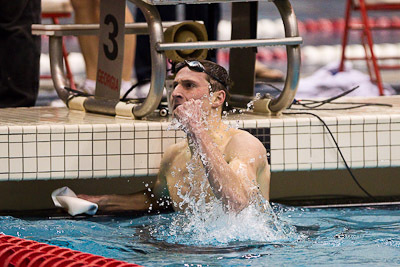 Mark Dylla of the University of Georgia breaks his previous SEC meet record in the 200 butterfly to win the event in 1:41.47. 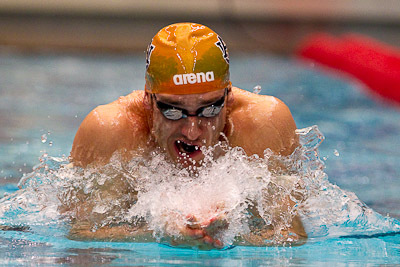 The Auburn 400 free relay team of Adam Brown, Christopher Fox, Kohlton Norys and Gideon Louw took first in 2:49.63.